Three more shipyards at Tuzla in Turkey have been closed because of poor safety records. Inspectors of Turkey"s labour and security ministry decided on Monday to close the yards in the Istanbul industrial complex, where 21 workers have died in the last nine months. Saban Kasap-Sahin Teknecilik, Mengi-Yay Yachting Company and GESA Ship Corp were the yards closed temporarily, until they can show that standards have improved. The sub-contracting system and non-compliance with occupational safety regulations are seen as the major causes of the deaths in Tuzla. This is not the first time a closure has been implemented. In May Selah Shipyard was shut after two workers were killed there. Cruiser Port to be Built in IstanbulA cruiser port to be built beside the fill area at Yenikapı District. 8 cruiser ships will be able to berth at the cruiser port that will have two berths for them. 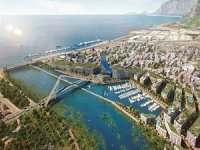 Main Port Investment for Export in TurkeyTurkey is preparing to build “main morts” in a global scale. Within this scope it has been planning to put a tranche of marine trade fleet. 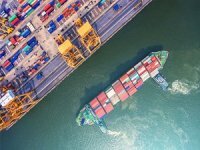 Volume of Export from Turkish Ports Rose by 19 PercentPort Operators Association of Turkey reports 2018 third quarter results. 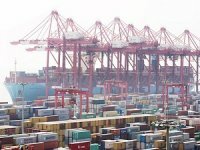 According to report; increase in volume of export from Turkish ports in the third quarter of 2018 is up to 19 Percent. 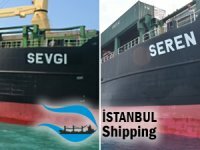 Turkish Company Operates The Iranian Ships Under EmbargoAmid sanctions against Islamic Republic of Iran, 4 containerships which are operated by Istanbul Maritime and Marine Transportation, have been revealed on the list that has been announced by US Department of The Treasury. 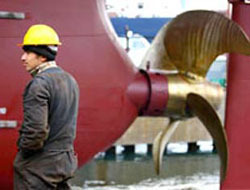 New Regulation Set To Increase The Public ShareA new regulation set in Piloting and Tugboat Services. 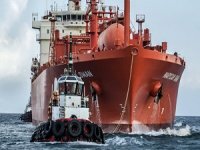 Following the announcement of the 329 th Presidential Decision on the date 10 November 2018, the shares of Piloting and Tugboat Services to rise from 6.5 percent to 10. Moment of Silence Held for Ataturk from FishermenCommemoration ceremonies to be held across the nation to mark the 80th Anniversary of The Greatest Leader Mustafa Kemal Ataturk’s death. 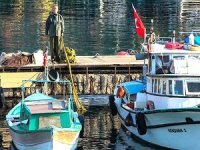 Fishermen and citizens in Antalya hold moment of silence while sirens to sound for the memorial day.